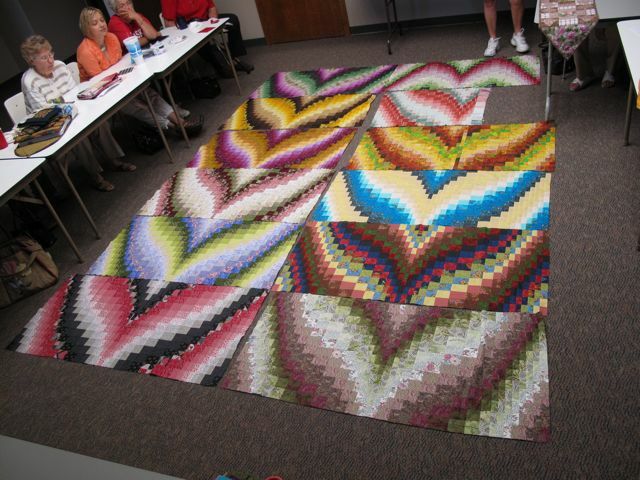 This is a photo of the bargello blocks created by some of the members participating in the 2011 mystery quilt project. 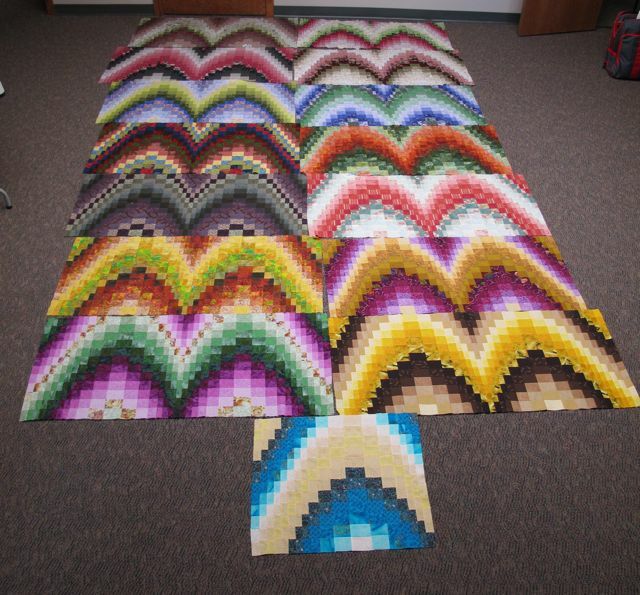 This is what the mystery quilt looks like when arranged a different way. 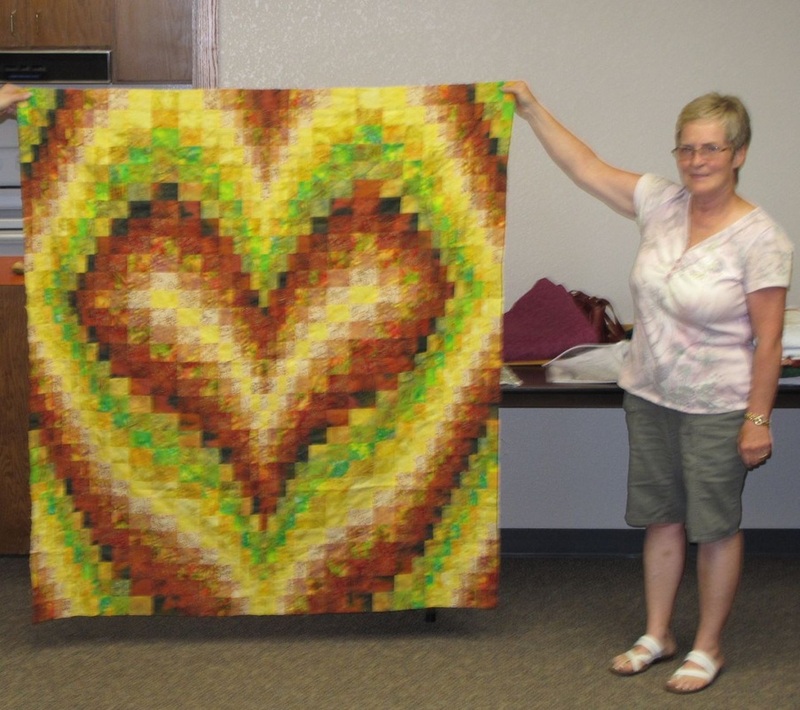 Part two of the bargello heart. 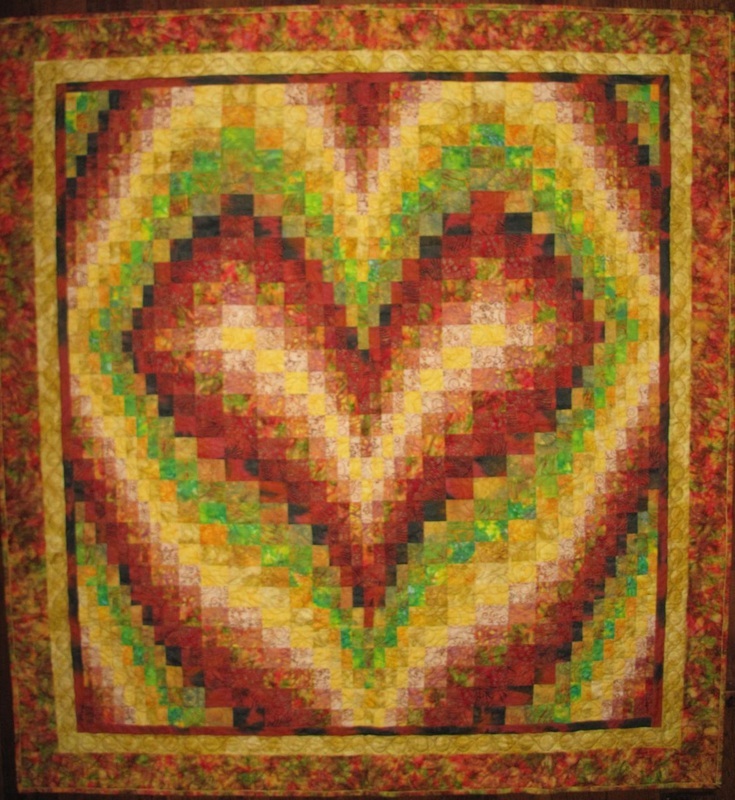 This is the bottom of the bargello heart. Looks like someone needs to fix an errant strip. 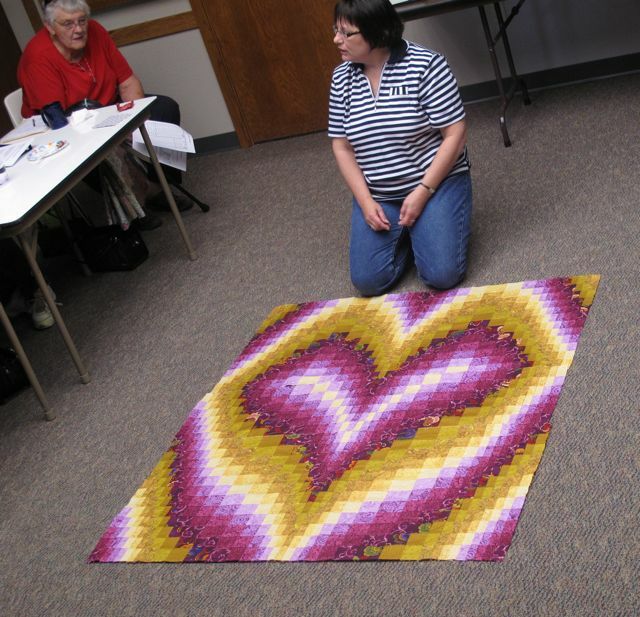 JoAnn is explaining how to make the center of the heart. 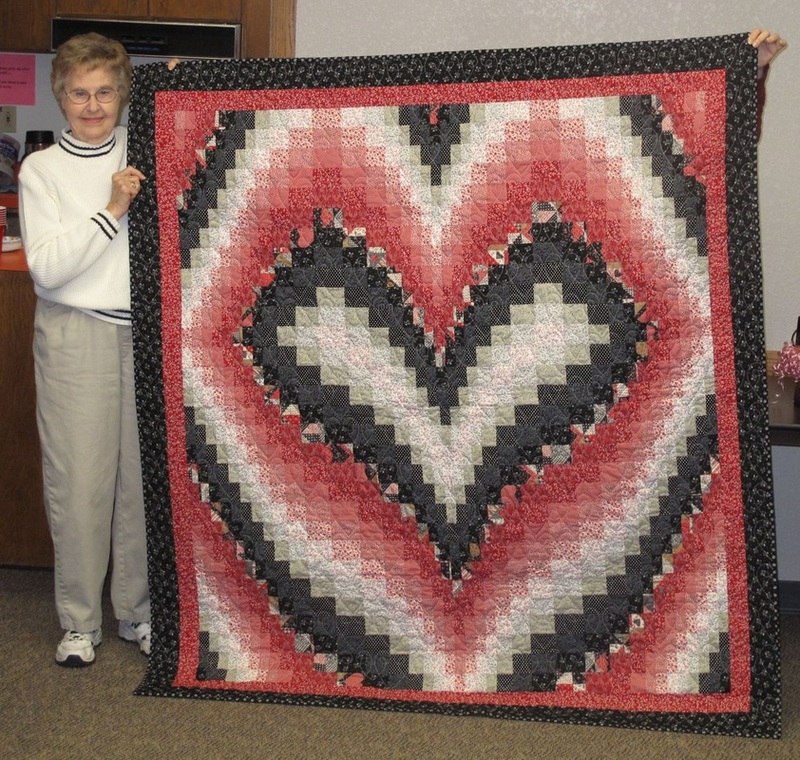 This is what it looks like when completed. 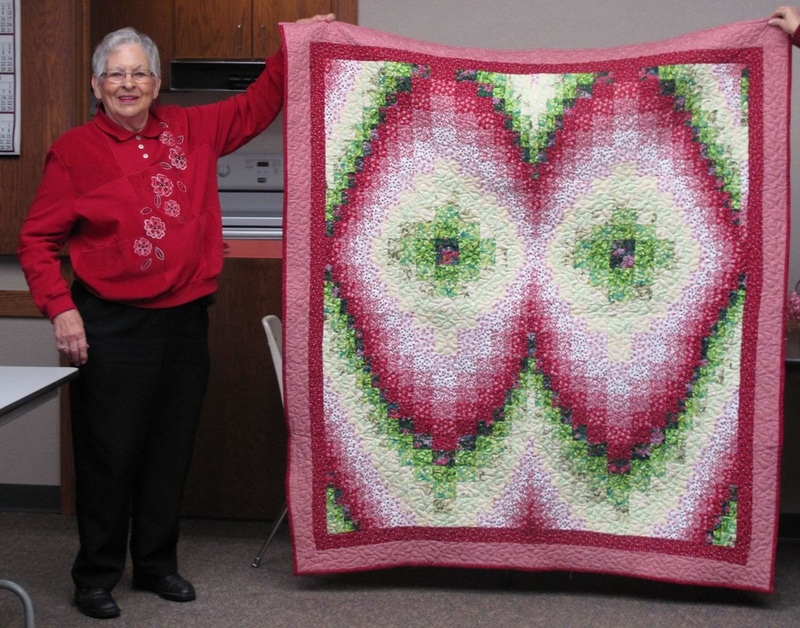 See the variety of design created from one pattern. 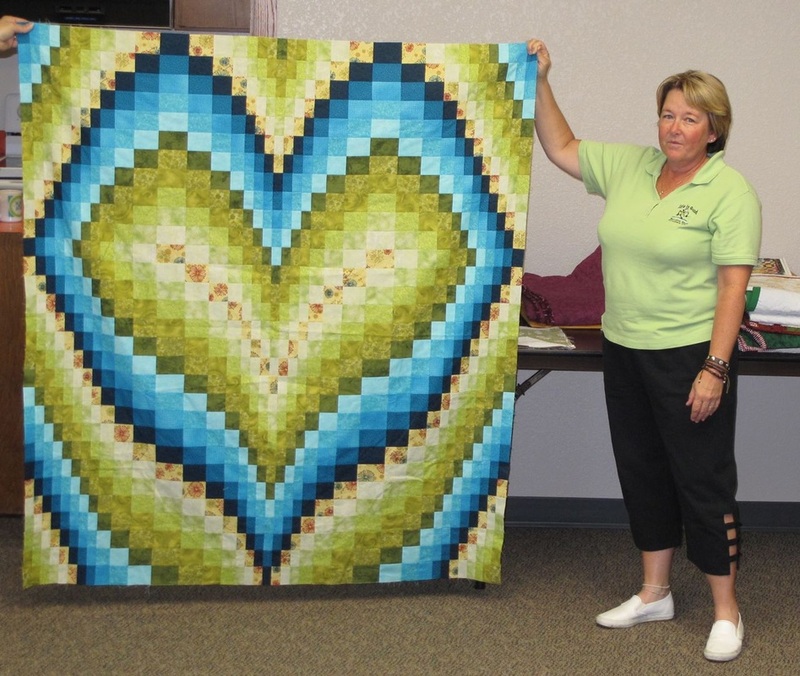 It is exciting each month to see what the guild members have come up with. 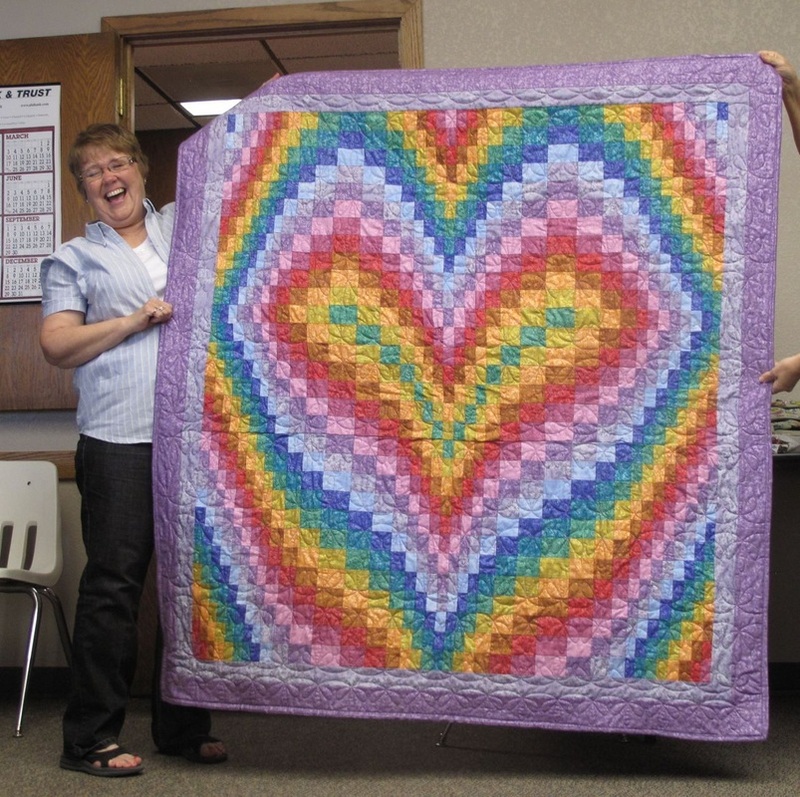 Beautiful color combination with great border choices. 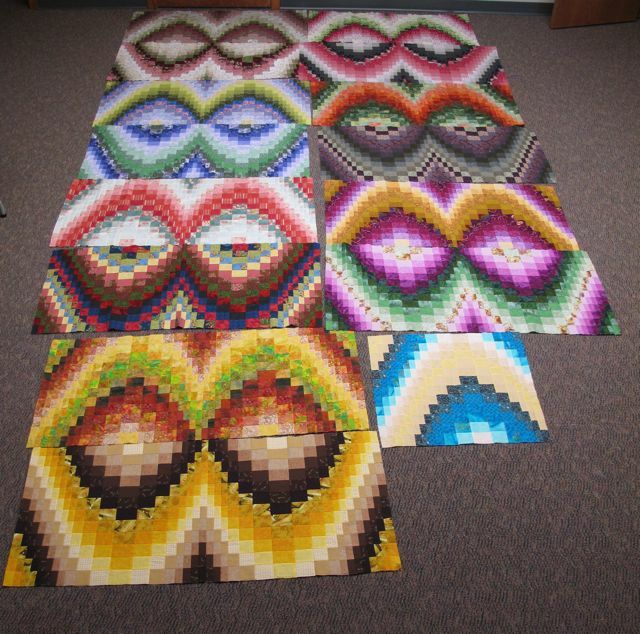 Taking the project to another level with a new design. 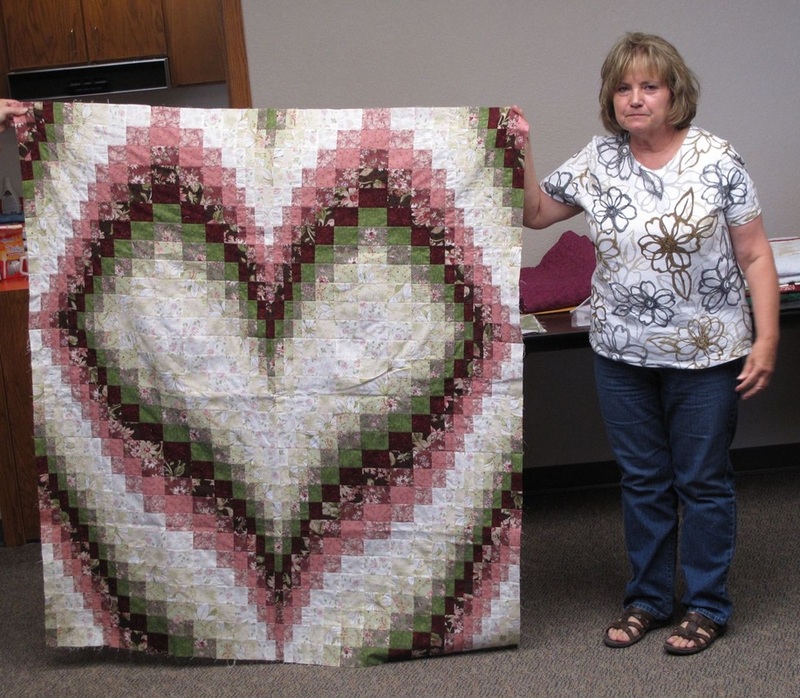 Way to go, Loretta! 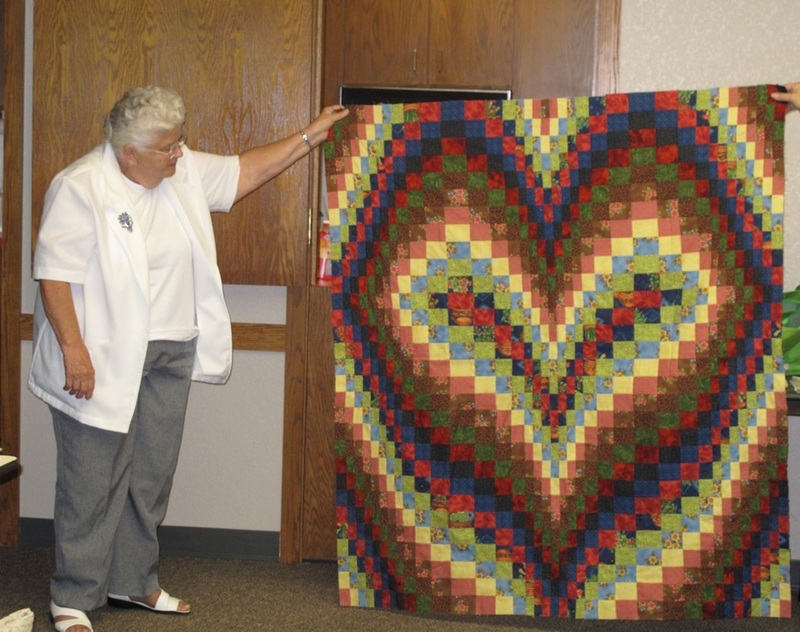 Variations in color values create different heart shapes. The errant strip from last month was corrected. 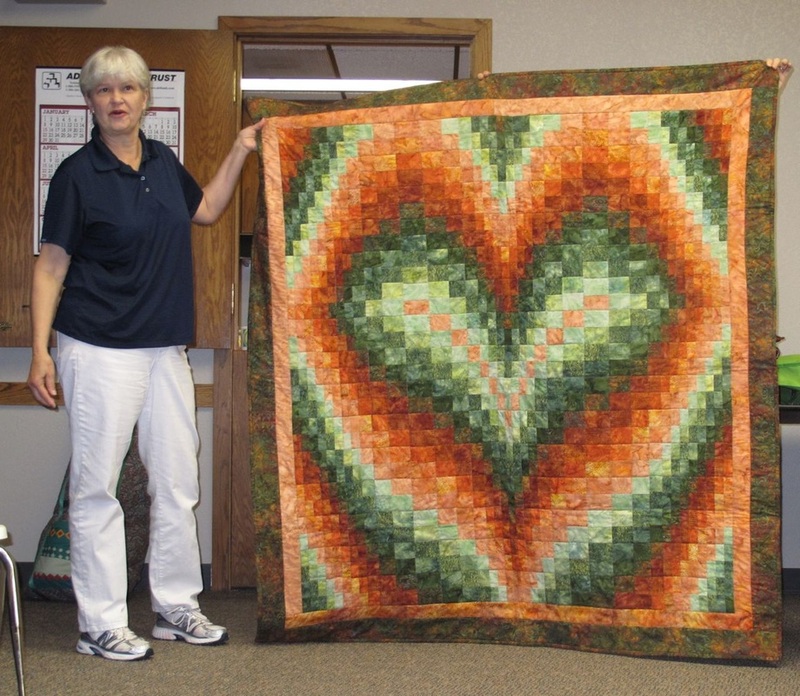 Ellen's complementary colors make a wonderful heart. 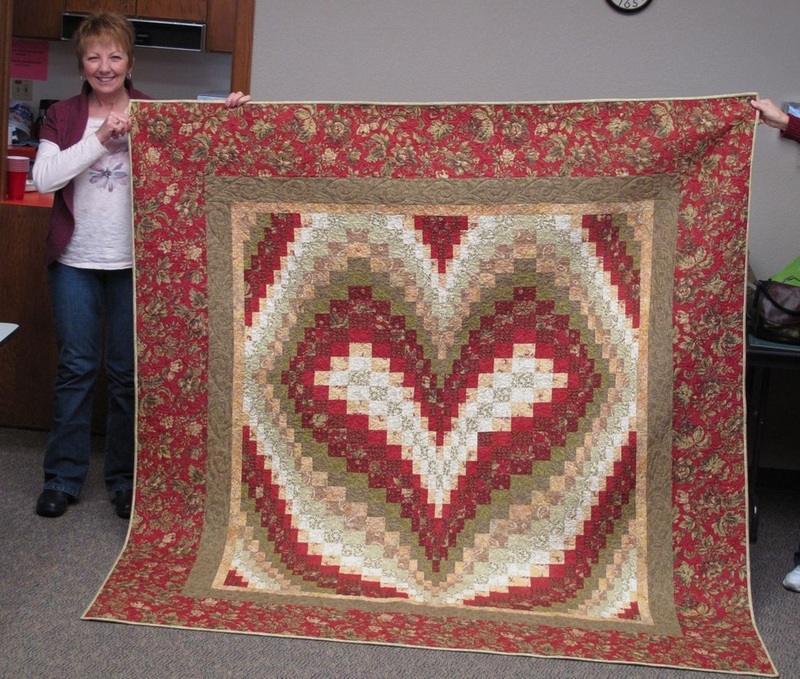 Mary has created a very warm heart quilt. 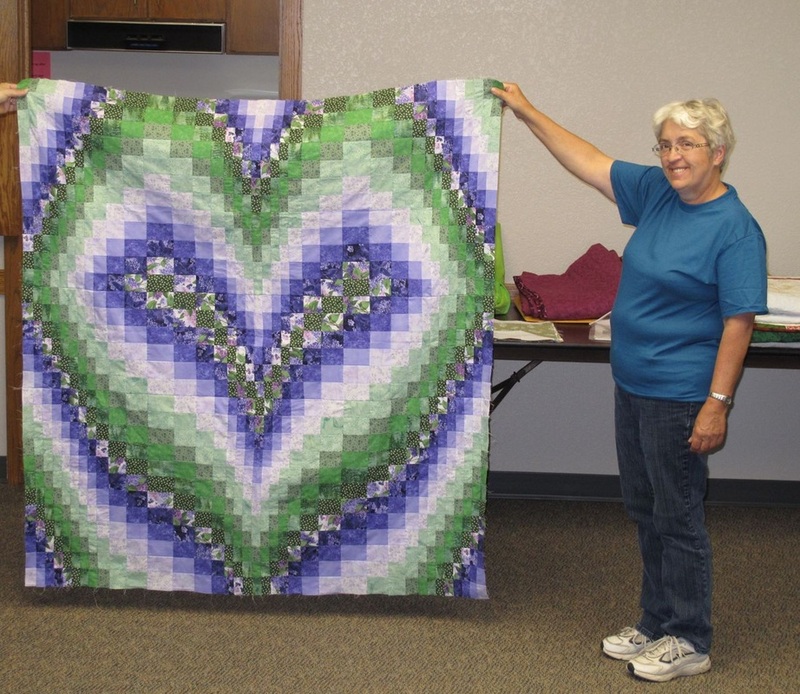 Can you tell Jonie was excited to finish her first quilt? 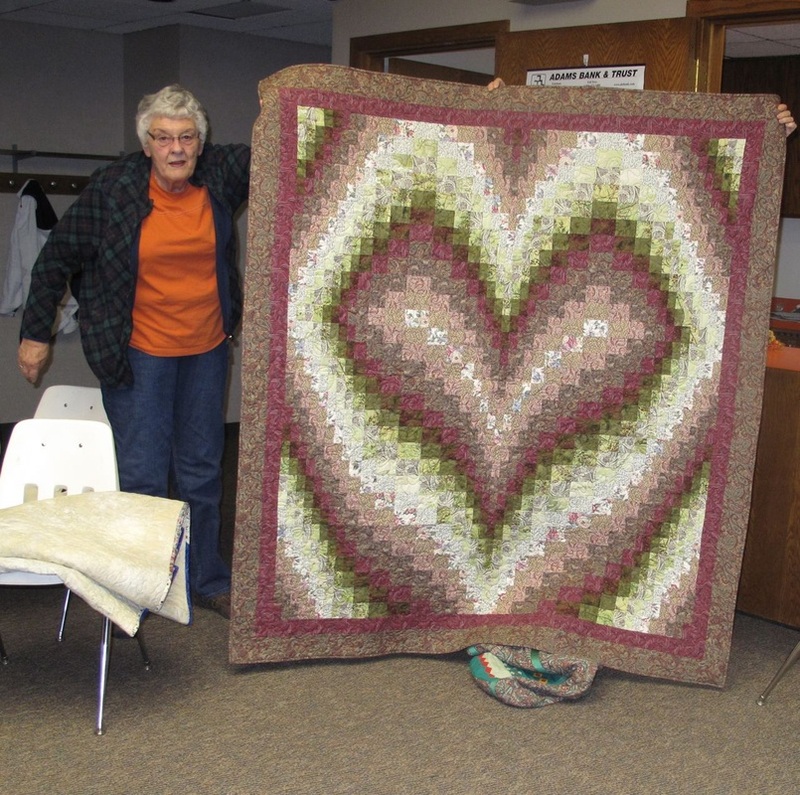 Way to go, Jonie!